Day 102 here on #AYearOfBuses takes us once more to the city of Liverpool, where there’s a bus which runs 365 days a year. 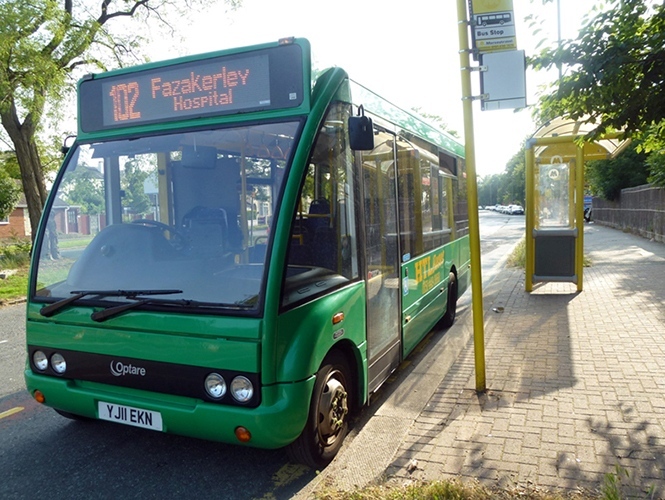 The 102 is a vital bus link in the city, connecting no less than three hospitals – Aintree University Hospital, Alder Hey Children’s Hospital, and Broadgreen Hospital. It’s a relatively short and otherwise fairly nondescript route, save for the vital service it provides, but is well-known amongst Liverpudlians. Its special feature is that it runs 365 days a year, including even on Christmas Day, thanks to the support of Merseytravel. Thanks to Alex Hornby – who assures us that he has a photo of a GM Buses Atlantean once running the Christmas Day service in his collection – for the suggestion to include the 102 in our list.